A Close To My Heart Christmas Party! Here at Close To My Heart, we know that the Christmas season is a time for celebration! 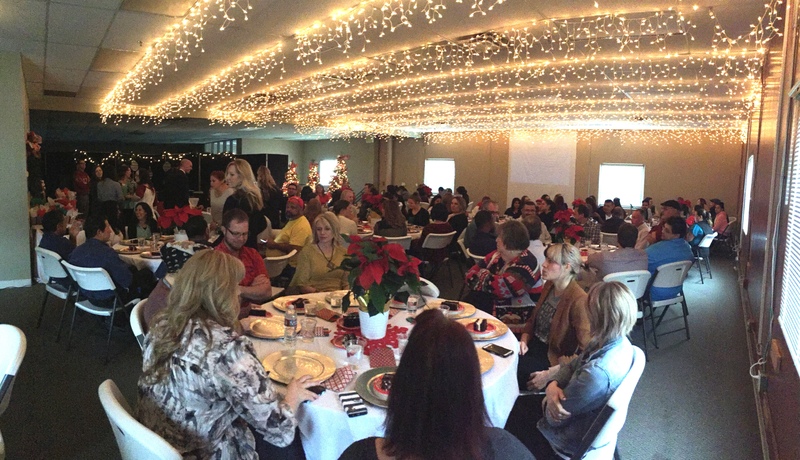 This week, we had our annual Christmas party here at the Home Office. It’s always such a pleasure to gather together as friends and coworkers, relax, and spread some Christmas cheer. First came a lunch catered by Tucanos Brazilian Grill, and boy, was it tasty! We enjoyed our meal with Christmas music in the background and icicle-style lights above our heads. 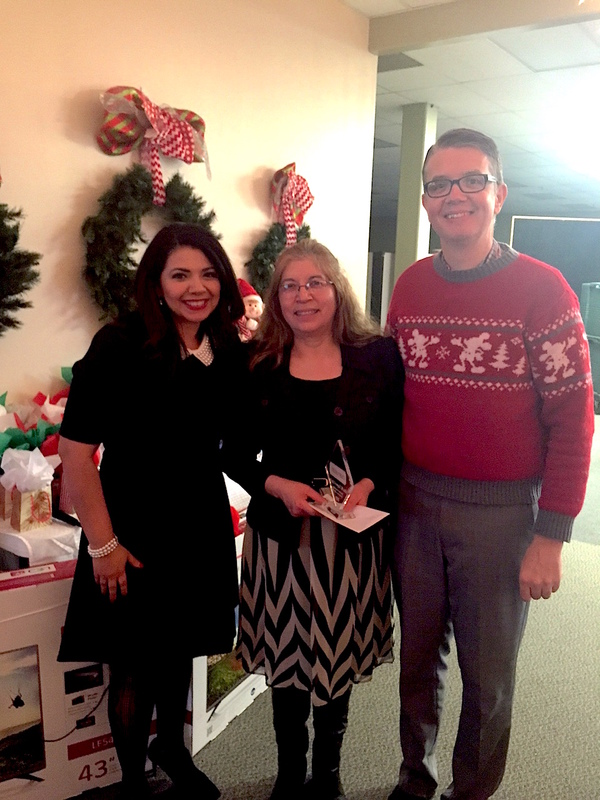 After the food, we celebrated employee birthdays and longevity milestones. We applauded people who have been with us for five, ten, fifteen, and even twenty years! The loyalty of our employees to this company always fills us with gratitude. But the party wasn’t over. Next, Monica and Brian began drawing names and giving out fabulous prizes to the lucky winners! By the time they’d finished, dozens of gifts had been handed out, which certainly upped the merriment! Does everyone look happy or what? We hope each of you get to enjoy your own holiday festivities and that you feel like you are a part of ours—because we know that we wouldn’t be celebrating together if it weren’t for this wonderful Close To My Heart community. Get in on the fun by checking out our holiday video, and Merry Christmas from Close To My Heart! Merry merry merry Christmas to you all at CTMH! You all look fabulous! Merry Christmas and thank you for all you do for us!